Makenzies Miracle: Testing My Patience! I wonder so often why things are the way they are. Why we have so many hoops to jump through and why some things in life seem so ridiculous. My 13 year old son seems to think in all of his teen age wisdom that he can fix the world and today would have been a great day for him to use his magical powers! As a parent of a special needs child it seems like there are more hoops then one could count. Some of these hoops I can understand and others just make me scratch my head. Today we went to the hospital to meet with the neuro physiologist. I made this appointment after my county told me because Makenzie was five, I had to get her IQ tested in order to redetermine services through them. I did some research on both the verbal and the non verbal IQ test. I looked into what tasks the child and parent need to be able do to complete one and I also talked with two different physiologists about the issue. Both of them stated they could attempt the test but most likely would not be able to complete it with an accurate score. I scratched my head...... a lot. There is no way for Makenzie to really take the test. 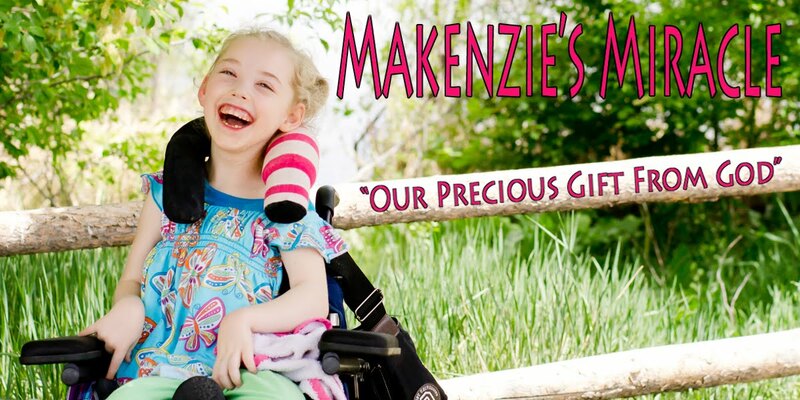 There is no way for a physiologist to get a accurate score on a child like Makenzie. Even the non verbal test requires the test taker to manipulate objects with her hands, organize objects, and do visual puzzles....... But I jumped through the hoops and called the hospital to set up an appointment. Today we went to that appointment. The physiologist was super nice. She asked why I wanted an IQ test done and when I told her she gave me the funniest grin. I told her crazy I thought it was and she agreed. She asked me a bunch of questions about Makenzie and proudly I want to announce that MANY of the things on the list Makenzie could do. There were many that she couldn't but in that moment I didn't really care! When it is all said and done the report will have an educated guess on development and it will state that the IQ test was attempted but not completed. The IQ score will also be a guess based on observation for the thirty minutes we sat with this doctor. So for all of that work and the cost of the appointment, my county will get an educated guess. They will get a failed attempt but Makenzie will get services. So when you hold services over my head, no matter how ridiculous the request, when you tell me to jump....... I will ask...... how high? !